*Depending on size of animal. Taxes not included. Any required additional tests for diagnostic and medical procedures are not included in the 40% off offer. You can expect these services to cost approximately somewhere in between $714.00 to $1,125.42 (depending on the size of the animal and the time the animal is on anesthesia). With the 40% discount, the cost will be somewhere between: $428.40 (if anesthesia time is 30 minutes) and $675.25 (if anesthesia time is 60 minutes). Please note: Depending on the health and age of your pet, blood, urine and additional tests may be recommended as part of the initial dental consult. These tests are NOT part of the 40% discount and may therefore exceed the initial exam cost of $675.25 depending on the type of tests recommended. These plus any Stage 3-4 dental cleaning or other additional medical procedures that are recommended will be at a 20% discount and not part of the 40% discount offer. Please see below for more information. If you are taking advantage of the RAPS Animal Hospital monthly discount offer, you will be required to sign a Patient Agreement specifically for the monthly offer demonstrating your understanding of what will and will not be covered by the discount. It is important to us that you, the client, have a full understanding of the discount being offered to you and, if required, what additional charges you may be asked to cover in the treatment of your pet. No additional charges will be applied to your account without your prior authorization. Our veterinarians may recommend additional services if your dog or cat has ongoing problems with one or more teeth. You will be asked to sign consent for any additional charges prior to those charges being incurred. As an example, each tooth extraction will cost between $40 and $60 (surgeon fee only). Plus your veterinarian will provide pain medication and antibiotics (in case of extraction) to improve healing and reduce discomfort after extractions. The total cost for these two medications is anywhere between $60 and $80, depending on the size of your pet, and in addition to extractions. In order to provide optimum protection and safety and to ensure your pet’s dental cleaning and/or surgery is successful and without complications, our veterinarians may strongly request that core exams, vaccinations or other treatments be applied. Examples include vaccines (FVRCP or DA2PPV and Rabies) and heartworm tests that are up to date, or will be given before surgery or on the day of surgery. We will request proof of vaccination and heartworm test at the time of drop-off. If you currently do not have a veterinarian, this is a good time to start a relationship with RAPS Animal Hospital as a partner in your pet’s on-going health. If your animal requires any vaccinations or heartworm test, the price will be $25 to $35 for vaccinations and between $40 and $60 for the heartworm test. While many pet owners are concerned about the added cost of vaccinations and tests, this cost is minimal in comparison to the potential complications that could be caused by an undetected problem. RAPS’ offers cannot be added or combined with any other offers. Offer is valid until Dec 31, 2019 with booking for dental procedure by no later than Nov 30th, 2019. The 40% OFF dental exam stage 1-2 does not include a free exam and the exam will be charged at a 40% discount. If you have taken advantage of RAPS’ FREE examination offer and because of our doctor’s recommendation that your pet receive a dental treatment, then your initial exam will NOT be free and instead will be included as part of the dental package 40% OFF Offer. That is because offers cannot be added or combined with any other offers. In this case, you are receiving a higher discount by taking advantage of the 40% OFF offer. Dental procedure must be ​booked within one month of when the pre-dental examination took place. You must officially register your pet with the RAPS Animal Hospital. 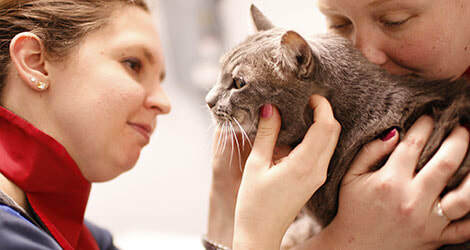 You must provide the RAPS Animal Hospital with proper medical history of your pet, including the transfer of your pet’s medical files to the RAPS Animal Hospital. You must book your pre-dental physical examination appointment. You must book your dental procedure within one month of your pre-dental physical examination. Please note: we are here to serve you and our intent is to be honest and transparent with our clients. If you have a senior pet or a pet with existing preconditions, they may require additional services and diagnostics in addition to a regular physical examination, which will incur additional costs. Any additional services, vaccinations, medical treatments or product requirements (the “services” ) are an additional cost to the client. If our doctors determine that your animal may require additional services or diagnostics to determine the health of your animal, they will discuss this with you and request written authorization to conduct additional tests or apply any products in the care of your pet, at regular rates less 20% as part of this dental offer as a cost to you. Our doctors will not apply any additional services without your written authorization, except in lifesaving emergency situations, which each patient consents to when becoming a client of the RAPS Animal Hospital. Congratulations and welcome to the RAPS Family! The Regional Animal Protection Society (“RAPS”) reserves the right to make changes to this disclaimer at any time, without prior notification to you, in the best interest of RAPS. RAPS also reserves the right to discontinue any special offer provided by RAPS that RAPS, at its sole discretion, believes requires to be discontinued. You shall not receive any form of compensation as a result of RAPS discontinuing a special offer. The Regional Animal Protection Society, at its sole discretion, reserves the right to refuse service to people who are unruly, difficult, harass staff or unwilling to remit payment.